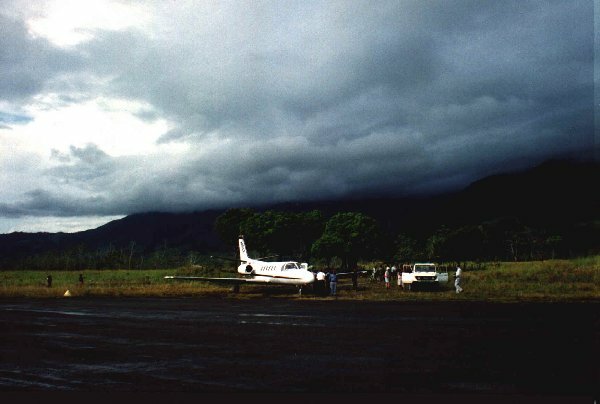 Here's my Cessna Citation when I was flying in Papua New Guinea, at a small WW2 airstrip called Vivigani. 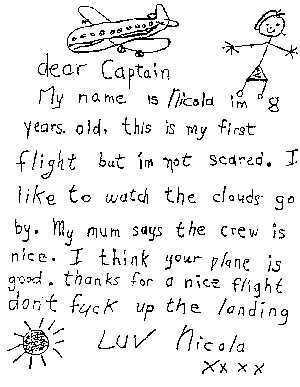 (Viv-i-ga-nee) I just thought that it'd give you an idea as to what flying a jet in PNG was like - Culture clash! 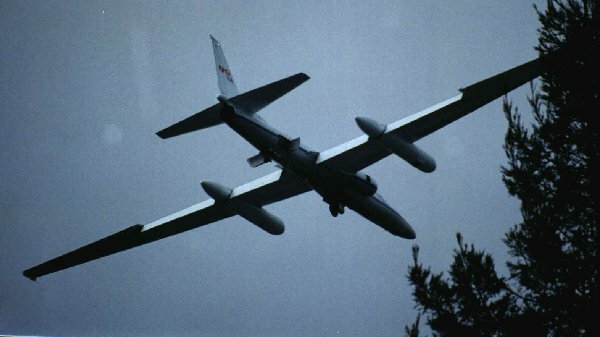 The locals, who had never seen a jet powered plane before, would come out to see if they could find where the propellors were. 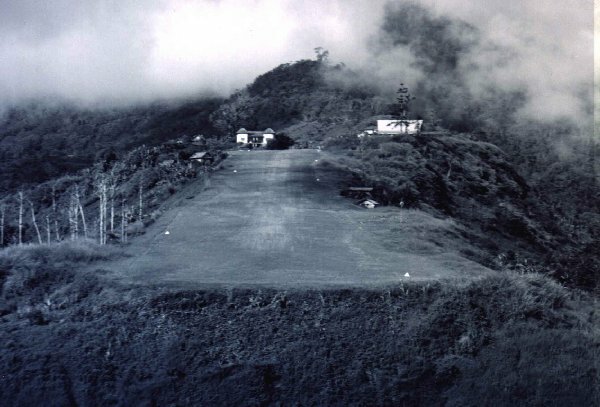 Here's a typical bush airstrip in PNG, cut into the top of a mountain. This one is called Ononge. (On-non-gee) It's about 450 metres long and is nearly 6,000ft in elevation. After take-off, you have to turn right to avoid the village that you can see in the right foreground. 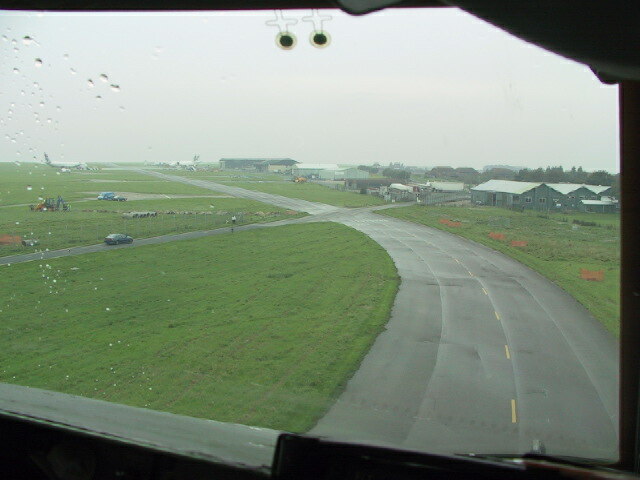 (On strips like this, you MUST land uphill - As we're about to in the picture - and take-off downhill) I wasn't flying the plane, a DeHavilland Twin Otter, in this pic, I was just a passenger. This is a fairly good airstrip, called Tapini. (Tar-peenee) Again it's a one-way strip, though from the middle 'outwards' it's quite flat, a contrast to the part where the plane is parked, which has about a 10° slope to it. With the weather the way it is that day, if you take off in the direction I'm facing there and go left (The most obvious choice) then you'll quickly find out that the valley is a dead end. A right turn is the only way out. 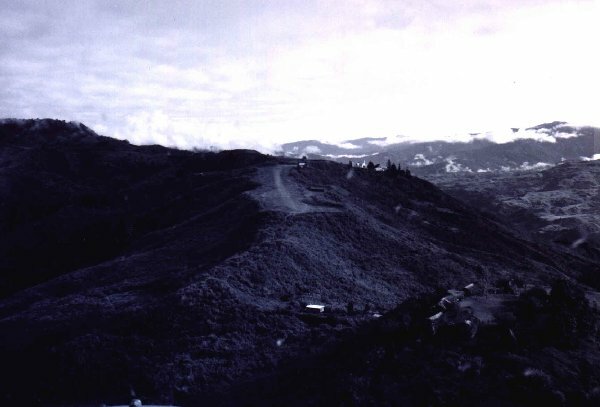 This is another PNG strip, Fane (Far-nay) and is one of the steepest, at an average gradient of over 12°! (The middle section is a LOT steeper) It's pretty obvious to even non flyers that this is a one-way strip! 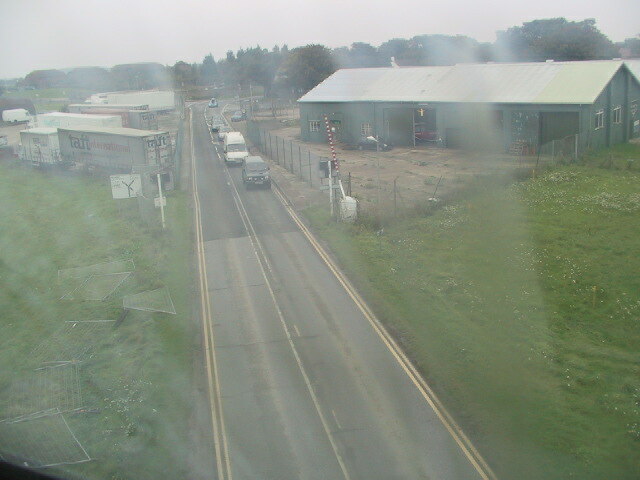 Just below where the aircraft is in the picture, there is a 2,000ft drop, so getting airborne again isn't a bother. Landing is a bit tricky though, as you have to add a lot of power to make it to the top of the runway, to the only flat part where you can park the plane. 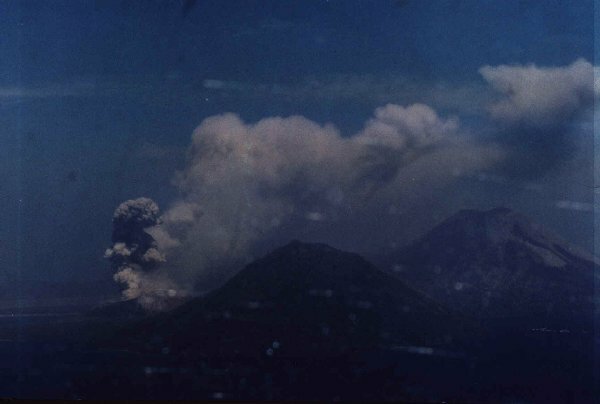 I flew in PNG when the volcano at Rabaul (Ra-bowel) was erupting. There was a restricted area around the volcano, of course, but since we were flying in & out of a strip near there, called Tokua (Tok-you-ah) I decided to have a closer look anyway. This is about as close as I wanted to get, and in fact it wasn't too far outside the circuit area for Tokua anyway. To pass the time on the ground at Tokua, I used to feel the ground rumble a little, and watch the boulders as big as a house pop out of the top of the volcano with my binoculars. Fun. 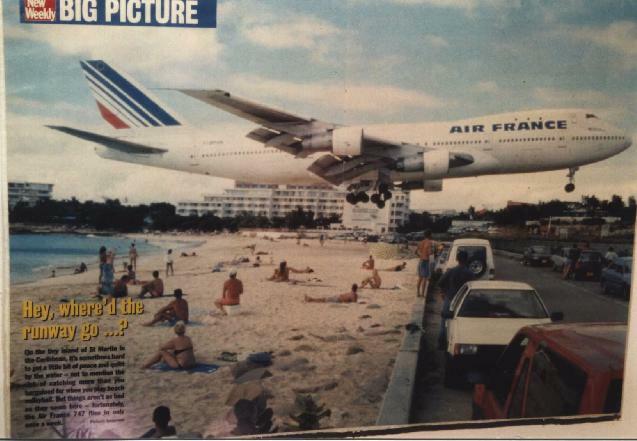 Here's one that you normally don't see - It's an Air France 747 landing on the island of St Martin, in the Caribbean. And no, it's not a faked photo! 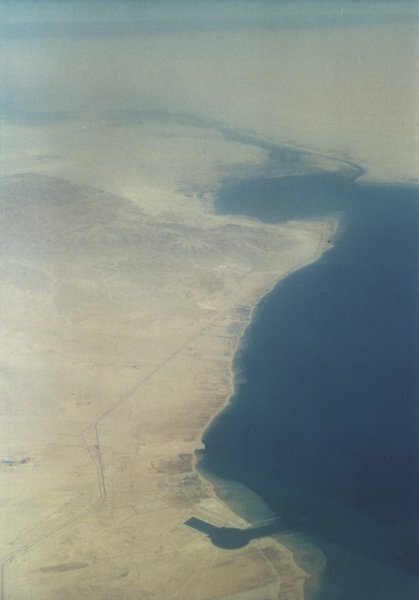 (please excuse the quality of the pic, as I took it from a poster on a wall) The caption below the pic on the bottom left says: "Hey, where'd the runway go ... ? On the tiny island of St Martin in the Caribbean, it's sometimes hard to get a little bit of peace and quiet by the water - Not to mention the risk of catching more than you bargained for when you play beach volleyball. But things aren't as bad as they seem here - fortunately, the Air France 747 flies in only once a week." On one of the Metro's I flew, I had a problem when starting it once - It just refused to finish spooling up, and so I aborted to start. A friend came rushing up the steps and said that, "Some red-hot bits of metal just came out the exhaust pipe!" 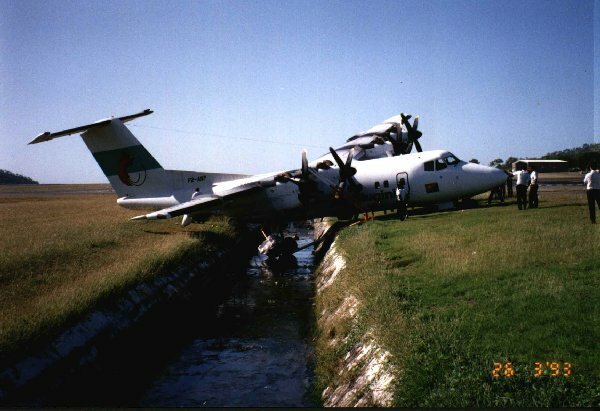 I figured that this couldn't be good, so parked the plane for the day. To cut a long story short, what the problem was is that some of the other pilots hadn't been cooling the engine down properly before shutdown, and so the fuel injector nozzles were coking up with unburned fuel. So, five of them (You can count five burn-throughs in the above pic of the second stage stator) started to 'torch', and thus inject fuel in a stream instead of a spray, causing dangerous hot-spots in the turbine section. 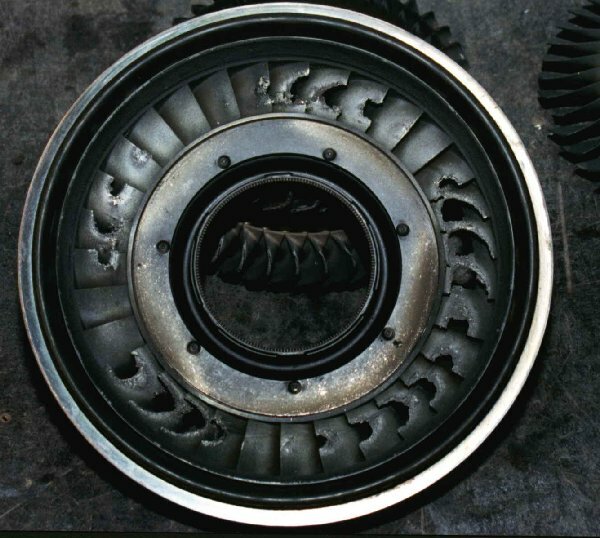 These Garrett TPE-331's are a very tough engine, but what was happening was rather bizarre - The 12 Turbine Temp Indicator sensors are located around this stator section, and they were also being melted along with the turbine blades and stators themselves, so, as fate would have it as the turbine burned away so did the temp sensors, which caused both a loss in temperature indication AND a loss in torque - Just as is you'd pulled the throttle back - So it was quite normal to simply push the throttle back up to get the right amount of torque back, which amazingly corresponded to the right temp reading! The problem was, that instead of a temp of 870°C, the engine was actually running at around 1,100°C! So, to no-one's surprise it shat itself big time. The problem was that it decided to do it when I started it ... Boy, did I get in trouble! That is, until the engineers convinced my bosses that it wasn't me. (I'm as gentle as a kitten on engines) So, anyway, about $100,000 later the problem was fixed, and a stern warning to all the pilots to COOL THE BLOODY ENGINES DOWN PROPERLY!!! Here's and interesting picture that I've found - It's of the World War 2 German Horten Brothers flying wing bomber. It was intended to be a '1000' bomber, ie, it was supposed to fly at 1,000kph for up to 1,000kms, carrying up to 1,000kgs of bombs. The wing skins were made of a wood-carbon powder composite that absorbed radar pulses, so it would have been largely invisible on radar. Quite a project, but the war ended before it was fully developed. 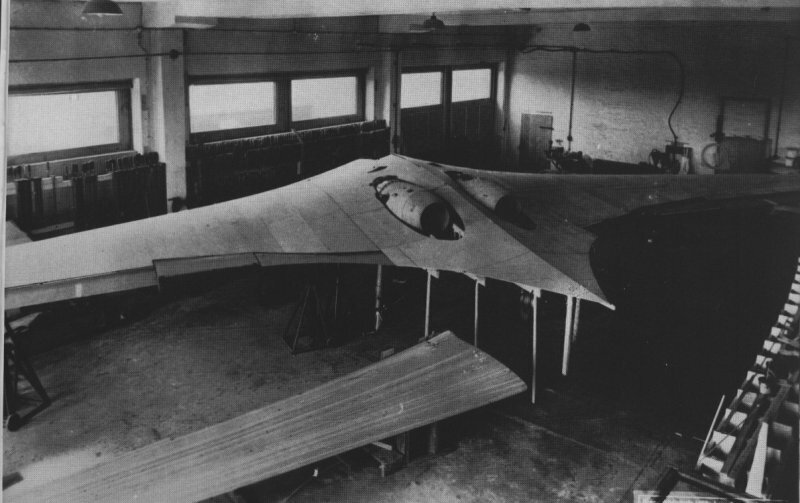 The Horten Flying Wing got a sort-of cameo appearance in the movie "Raiders of the Lost Ark" though, near the end of the movie though I believe the movie aircraft was more loosely based on the Northrop flying wings. In my job with Air Atlanta Icelandic, I get to fly to some odd places. 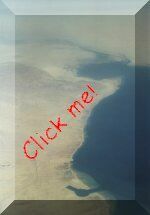 On one particular flight, I flew quite close to the southern end of the Seuz canal. The atmosphere around there is usually very hazy, so this is the best picture that I could get. 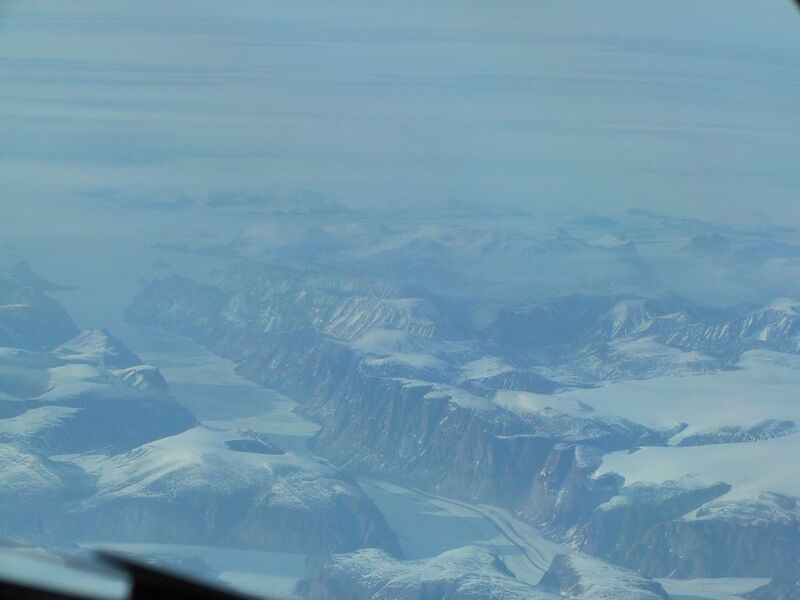 On one of the flights from Canada to Germany, we flew at 35,000' over Baffin Island, which is the very top-right hand corner of Canada. This was perhas the most impressive valley that I've ever seen in my flying career, and although it's very hard to judge how deep it is, I would have to say that it would be at least 6,000' deep, or nearly 2,000 metres. We did a charter to Washington D.C. in the US in May 2001, and there was time to pop down to the Smithsonian Museum of Air and Space. 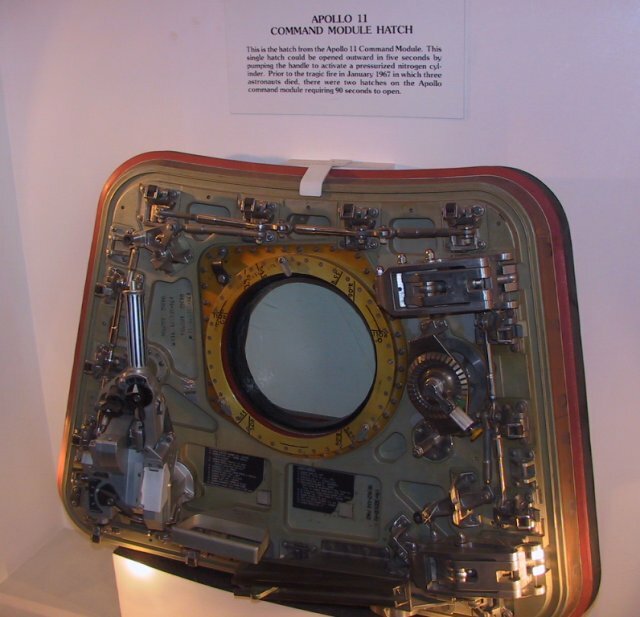 This is the hatch from the Command Module of Apollo 11, the first manned spacecraft to land on the Moon. A real piece of history here. I found this item on display also very impressive indeed. It's the lunar suit worn by one of the Apollo 15 Astronauts, Dave Scott, and so this space-suit has walked on the Moon! 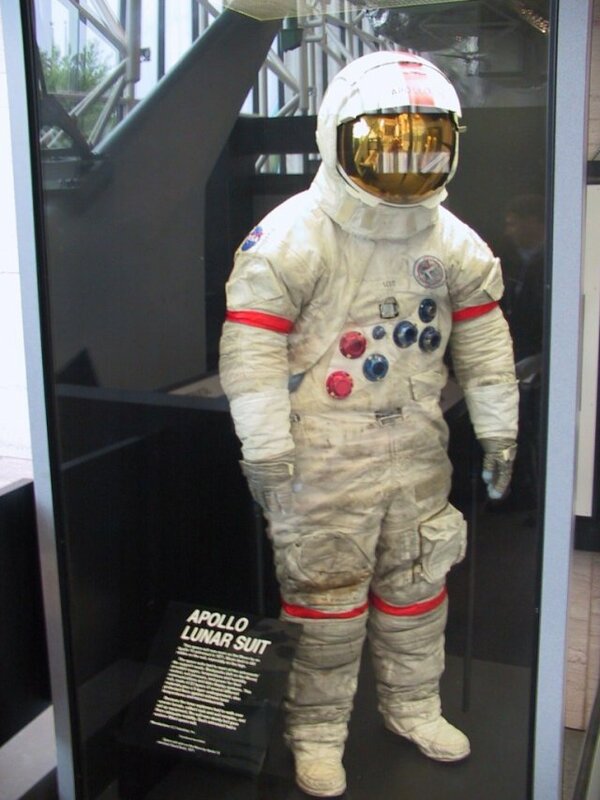 I was just so impressed to see real lunar dust on the legs. 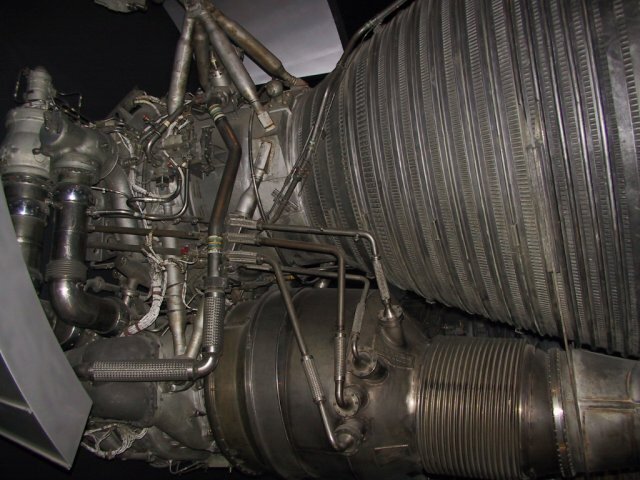 This is one of the mighty Saturn V first stage rocket engines. 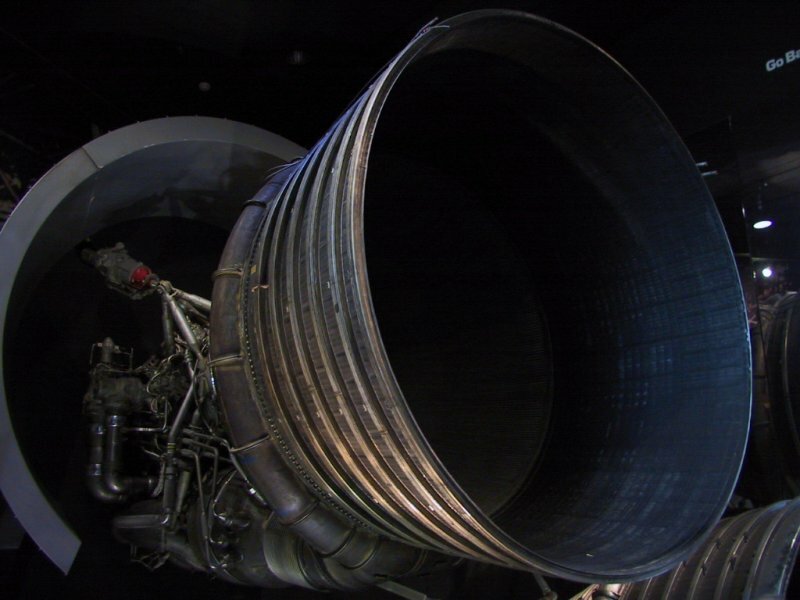 Each engine made a good 1,500,000lbs of thrust and there was five of them. In the picture on the left you can see the nozzle of the rocket, and nearly four people standing head-to-toe could stand in the end of the nozzle, it's that big! The middle engine of the five could be steered to keep the big spacecraft on track and on the right you can see how many of the connections have bellows and flexible connections so they let the engine move around. All the engines were much the same though as they jumped around a fair bit anyway. 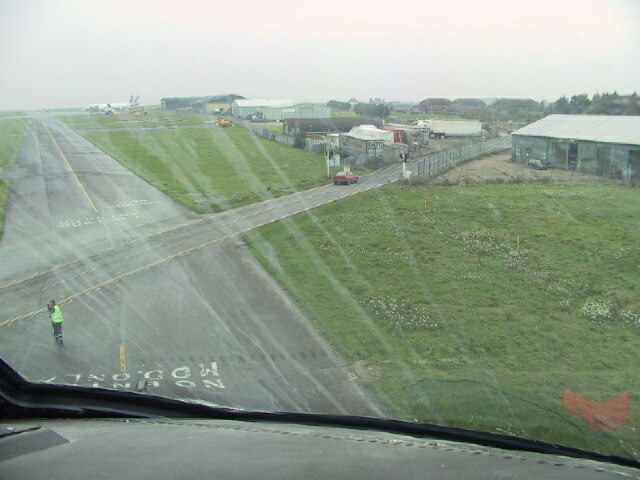 Air Atlanta Icelandic do a lot of their ground maintenance at Mansten, on the east coast of the United Kingdom. 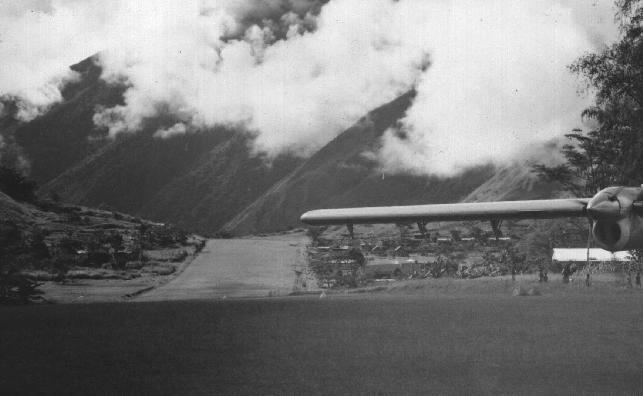 It's an old World War Two military airport, and so it has plenty of room to park planes in odd corners. 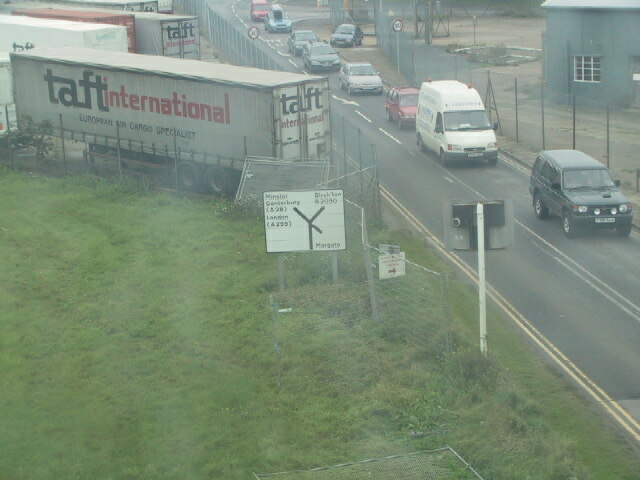 One of those corners is on the end of a long taxyway that cuts right across one of the the main roads to the south out of Margate. The taxyway is so narrow that we can't actually taxy under our own power, and so have to get towed for I guess about a kilometre to where we can start the engines. To get there, the airport staff have to take down part of the fence that surrounds the airport and block off the road traffic. Again, apologies for the poor quality of some of the pics but the windscreens were a little grubby on the right hand side. 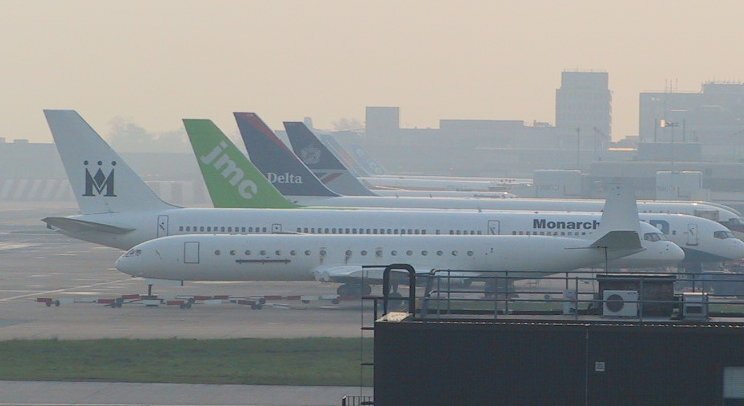 I did a short tour in Paris, flying for Air France, AOM, and a couple of other smaller charter airlines. Naturally, I had to do the tourist thing and walked an hour or so and took a close look at the Eiffel Tower. The photos I'd seen of it really don't it justice as to how large it is. 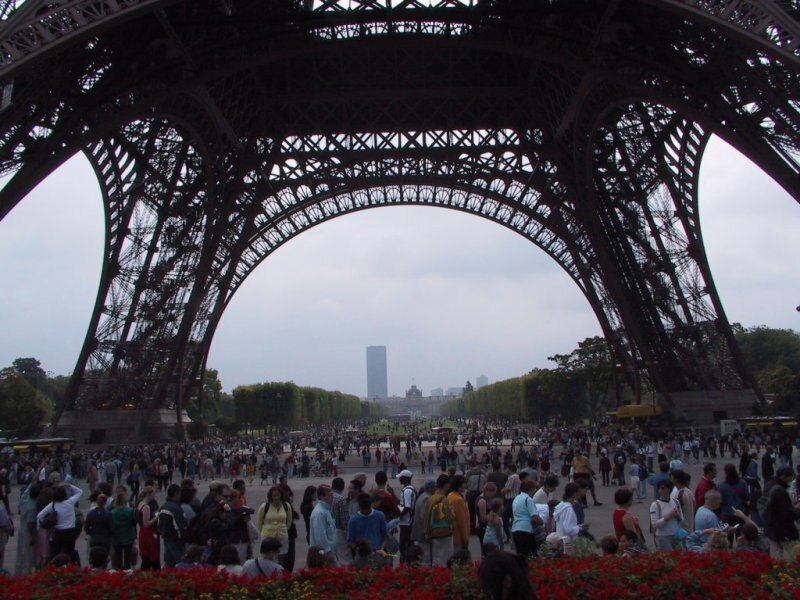 To get a better idea, I took a photo of the base of it, and in that photo you can see a lot of people wandering around the legs - See how small they look? To give another idea of how large it is, in the 1970's (I think) a daring pilot decided to fly a Beechcraft Bonanza under it!! And he had the presense of mind to take a video of it from inside the plane - That video is in the link to the right. 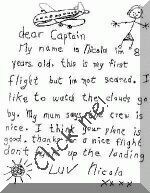 Here's some funny cartoons that I've found in the various pilot's briefing rooms around the world.